I purchased this a month or two ago. 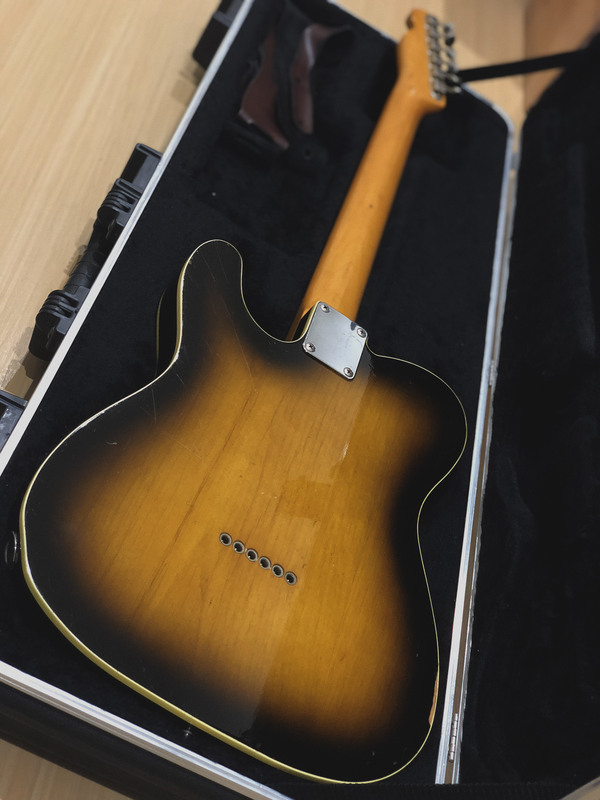 Made in Japan/ Fender Japan Esquire. Very very very rare nowadays. Unfortunately, the previous owner added the neck pick up and modified the electronics. Fortunately, when I bought it, it came with the original wiring and pickguard so it's easy to return it to its original state. Will get around to returning it eventually. Also came with a hard case but have bought a FENDER SKB hard case for it. Aged beautifully. Neck is straight and frets have been replaced with NOS frets with exact same spec. Neck is flamed depending on the angle you're on. Very easy to play etc. I wasn't planning on buying one but this one played beautifully!! Very happy! Now I have 2 guitars..
Last edited by Marshmallow on Sat Dec 08, 2018 12:41 am, edited 1 time in total. Congrats - looks great. Two tone burst is awesome. GrantB wrote: This works for me. And I believe Happy NGD to you, Mr.B as well? When's the new JM making an appearance? I'd be chuffed to have this in my collection, very nice. Marshmallow wrote: I purchased this a month or two ago. 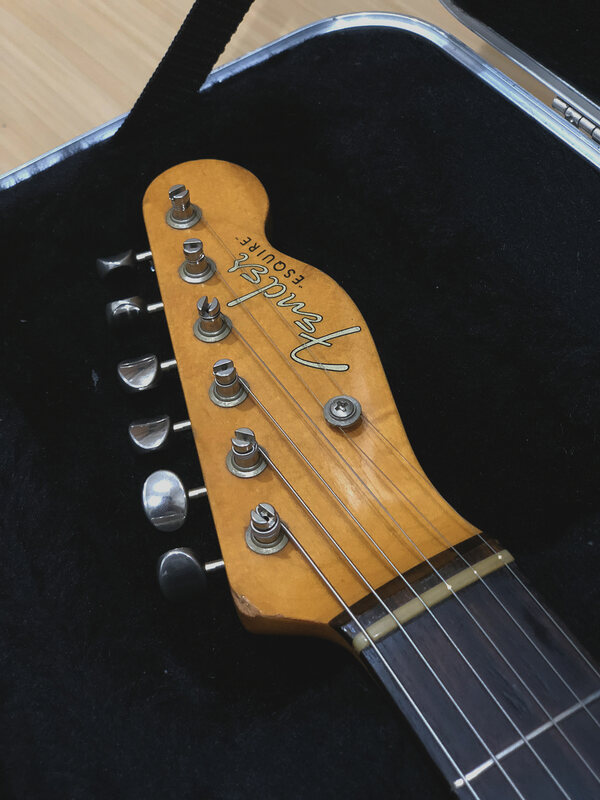 Made in Japan/ Fender Japan Esquire. Very very very rare nowadays. Unfortunately, the previous owner added the neck pick up and modified the electronics. Fortunately, when I bought it, it came with the original wiring and pickguard so it's easy to return it to its original state. Will get around to returning it eventually. 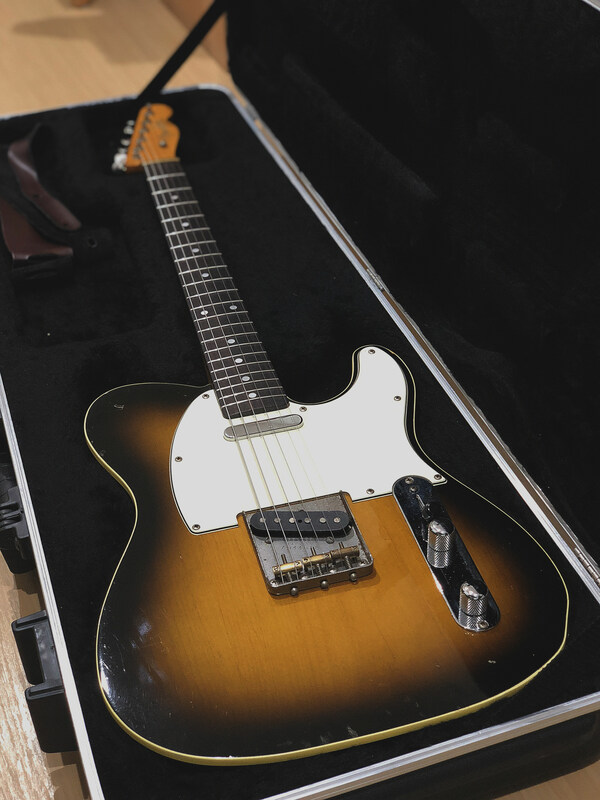 Also came with a hard case but have bought a FENDER SKB hard case for it. It's really quite magnificent. Did you find it in NZ? GrantB wrote: This is Marshmallows moment. Haha I look forward to it! I’m currently in japan! so if you guys have anything you want, I could drop by the guitar street and ship it to you as long as it doesn’t have rosewood won’t even charge extra haha! Slowy wrote: It's really quite magnificent. 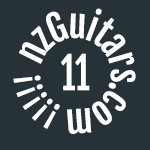 Did you find it in NZ?